Mangaluru, Jan 11, 2019: Mangaluru City Corporation (MCC) has selected senior doctor B.M. 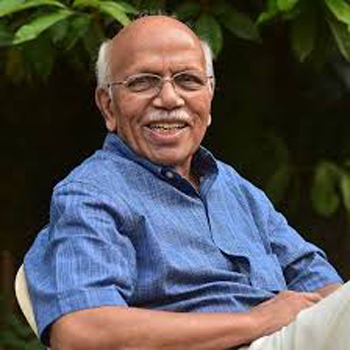 Hegde for its annual Ullal Srinivas Mallya Memorial Honorary Award for 2018. The award will be presented to him at a function in the Town Hall on Saturday, according to the Mayor Bhaskar K.
The award, the second one in the series, carries a purse of Rs. 1 lakh, a memento, and a citation, he told reporters on Thursday. In addition, Ullal Srinivas Mallya Memorial Award for 2018 will be presented to Ramakrishna Mission, Mangaluru (for social service), Manohar Prasad (journalism); Honeyball R. Cabral (community education and service), and Sara Aboobacker (literature) on the same day. They will be given Rs. 50,000 each, a memento, and a citation. M. Veerappa Moily, Member of Parliament from Chickballapur and former Union Minister, will present the awards at 2 p.m.. U.T. Khader, Minister in charge of Dakshina Kannada, will be present on the occasion. The corporation had instituted the award when Kavita Sanil was the Mayor during 2017–18. The Mayor said the selection committee comprised N. Ismail, former principal, Badriya College, Chandrakala Nandavara, writer, and Udaya Kumar Irvathur, principal, University College, Mangaluru. The honorary award is presented to a person who has done good service to society and upheld the name of Mangaluru.